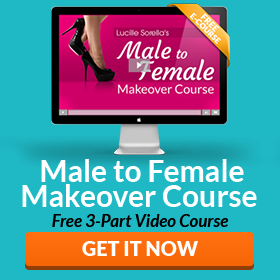 Have you thought about how you want to honor and express your femininity this year? When I hear the word “resolution”, I immediately think of all the times I fell off my New Year’s diet or failed at some other goal. Ugh. So rather than making resolutions, I now set intentions. Intentions point you in the right direction, but they’re more flexible than resolutions and don’t make you feel like a failure if you fall off track every now and then. FOCUS is the key to accomplishing anything. That’s why I suggest limiting yourself to 3 intentions max. Wouldn’t it be better to accomplish a few important goals – rather than looking back at a bunch of half-completed goals this time next year? It’s easy to set intentions and then forget about them. The trick is to create a reminder system that will help you stick with your goals by keeping them fresh in your mind. Post your intentions in a place where you’ll see them often (the fridge, bathroom mirror, bulletin board, etc.). Write your intentions on a piece of paper and keep it in your wallet. Set up popup or email reminders in Google calendar. 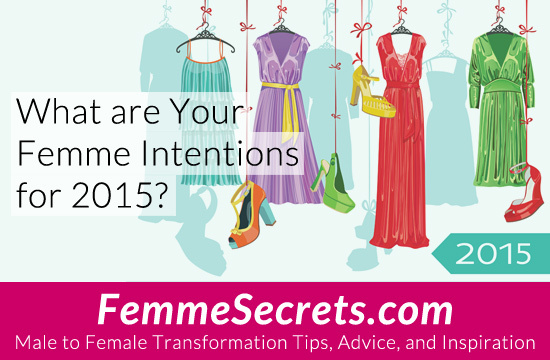 I’d love to hear about your FEMME intentions for 2015, so please share them with me below! Wishing you a year full of feminine joy and wondrous surprises! My femme intensions for 2016. To go out every day in femme. To give away all my male clothes leaving my closet completely girly. To work on a program using herbs to help my breast develop. To never again go out in male mode. Lisa. Lucille honey I love it here I always enjoy myself either writing or reading or both you have taught me much in the short time since I found my way to your site and this is one girlfriend who would like to thank you although I’m sure you have many of us who love you and write you all the time I truly feel you are an angel in many ways you are an answer to my prayers for help I look forward to sharing my journey with you and the rest of the world in the future Love M.J.